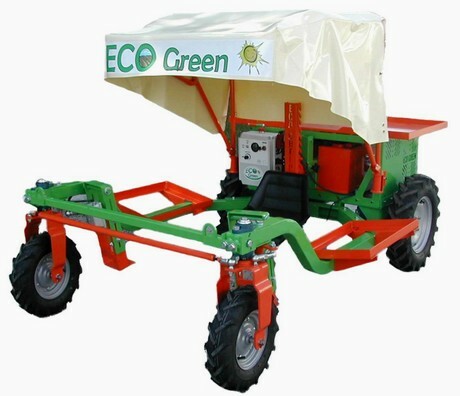 Ever attentive to the needs of the market and an expert in innovative technologies, Ecogreen has the best motorized agricultural machines, which are completed by accessories that facilitate the work of laborers, with a significant saving of time and money. All Ecogreen harvesting machines are electric, entirely produced in Italy and of guaranteed quality. They can be used for both greenhouse and open field harvesting. Ecogreen offers several solutions for the collection of different types of crops, including green and white asparagus and strawberries. Ecogreen Asparagus AB1, a very powerful single-seater machine, equipped with two rollers on the roof for lifting the cloth during the collection of white asparagus. Leonardo Zanarini, company owner: "Our asparagus harvesting machines are all equipped with two independent electric motors and four traction batteries of 260 Ah each". 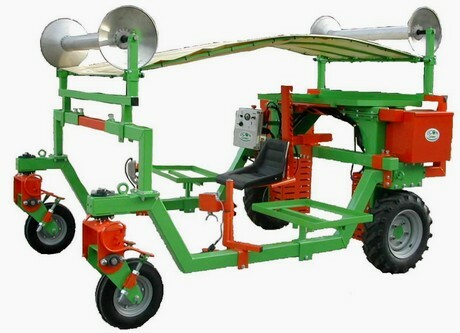 Ecogreen Star, a multi-place electric machine with electric steering. "All our machines enable a doubling of the harvesting capacity and also halve the time taken by the operators".